Gun and gang-related violence plagues Chicago and many other U.S. cities. But some young people of those cities are taking steps against it. Some of these are Chicago-based performers who are currently visiting Myanmar as participants in The Peace Exchange. On 8 January they will perform alongside their local counterparts at Pansodan Scene. The evening will feature hip hop, slam poetry, spoken word and music from local Myanmar indie bands. The performance at Pansodan Scene will be held on the last night of the two-week Peace Exchange. လူ႕ေဘာင္အဖြဲ႔ အစည္း အၾကမ္းဖက္ မူမရွိေစလိုေသာ ကမာၻေျမၾကီးကို ၿငိမ္းခ်မ္းေစလိုေသာ Chicago မွာလူူငယ္မ်ားႏွင့္ ျမန္မာႏိုင္ငံ ရွိ ရွမ္းျပည္ေအာင္ပန္း ႏွင့္ ခ်င္း ကခ်င္ ႏွင့္ အနယ္နယ္အရပ္ရပ္ မွ ရန္ကုန္ၿမိဳ႔တြင္ေရာက္ရွိ ေနေသာ လူငယ္မ်ားရဲ႔ အႏုပညာႏွင့္ ၿငိမ္းခ်မ္းျခင္း ဂီတ ဖလွယ္ပြဲျပဳ ကို လုပ္မည္ျဖစ္ပါသည္..(၈) ရက္ ဇန္န၀ါရီလ ည ၆ နာ၇ီမွ ၉ နာရီထိ လူငယ္မ်ား၏ ပူးေပါင္းဖန္တီး သီဆို ကျပ မည္ျဖစ္ပါသျဖင့္ မၾကည္႔လိုက္ရသည္ မျဖစ္ရေအာင္ လက္တို႔ ေျပာလိုက္ပါမယ္. 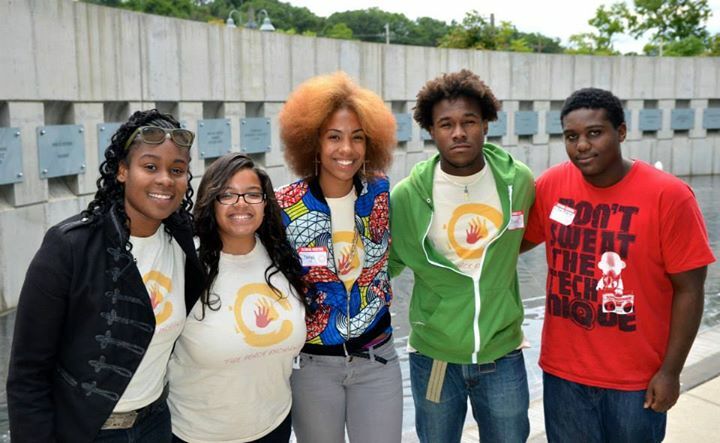 The Peace Exchange exposes young peace activists from the most violence-affected areas of Chicago to global perspectives on peace and conflict, and their thoughts and adventures can be followed here. The Peace Builders, as the participants are known, are youth leaders working for peace in their communities through art, music, advocacy and education. One of the Peace Exchange co-founders, Jessica Disu, is a hip hop recording artist who has performed internationally to promote hip hop as a medium of peace, and encourages youth to examine hip hop’s language of violence. ‘The idea is that we equip youth peace leaders or young adult leaders of Chicago with the necessary tools and wisdom to become effective peace builders in their community,’ Disu said. While in Myanmar, The Peace Exchange will meet with local peace workers, interfaith leaders, educators, members of the monastic community, artists, musicians and others addressing issues of conflict, peace and violence. 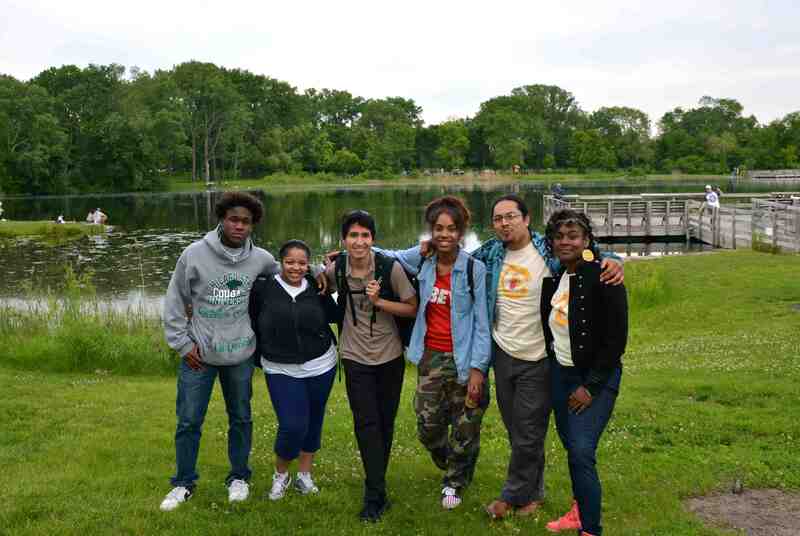 They will be followed by two filmmakers from Free Spirit Media, a Chicago-based youth media collective. Free Spirit Media will make a short documentary conveying the learning process. This will be screened for thousands of community members to stimulate conversation in an attempt to seek alternative approaches to reducing gun and gang-related violence. At the documentary screenings, discussions will be held to address questions such as: Why does the amount of street violence vary so much in different cultures? How does violence play out differently in different cultures? What lessons on peace do Asian traditions have to contribute to the peace building process in the U.S.? Are Americans more violent than Myanmar people? Peace Exchange co-founder Jessica Olney is an educator who has been working with Myanmar youth and activists for several years. She helped create The Peace Exchange to explore the fact that, although poverty and social exclusion are high in many parts of the world, levels of street violence vary dramatically. The Peace Exchange will look at the cultural elements that contribute to building peaceful communities, as well as the different manifestations of violence that occur in different places. Read more about them here. Pansodan Scene, 144 Pansodan, second floor, corner of Maha Bandoola, across from the Ganesh Temple. Performance runs from 6:00–9:00 pm. Wondering what to do on World Poetry Day? Well, you probably want to reserve some time to read or write verse, but on 21–23 March 2013 we will have poetry events at our new space, 144 Pansodan, provisionally called the Tropic of Pansodan. The programme runs from ten to noon every day, leaving your afternoons free for independent poetic activities. It will be entirely in Burmese, but true poets will understand any language. See below for details. At two in the afternoon of Sunday 6 March poets will gather at Panosdan Gallery to read to poetry lovers — that could be you. Most poets will read their own work on one or two languages (all will be presented in Burmese and English). Among the poems read will be ones by Padetha Raza and Seinda Kyawthu U Aw. These will not be read by the poets, who are long dead, but their poems live on and have been beautifully translated in a collaboration between Sayagyi and the well-known poetry translator, Keith Bosley. A rare chance to get a sense of personal life in the Nyaung Yan and early Konbaung periods (1700s). If you want to read up on it this afternoon, I suggest you download this Introduction to Myanmar Poetry by Dragan Janeković. It starts off in Serbian, but skip to page 18 for English, and find plenty of poems in English, Burmese and of course Serbian in the second half. For a quick view of upcoming events at Pansodan, you can cast a glance on our facebook page. The wind cannot overcome it. Birds come twittering to eat.